Riswana here today bringing a new challenge for the month. Friendship Day is around the corner and we wanna celebrate the bond of friendship with you all..
Also, please read the general RULES & guidelines HERE. a variety of projects.. I've used the Friendship themed cards to make these two cards & a tag.. It's a 6×4" card with a full Shaker frame & the quote base is from the pocket pages.!! 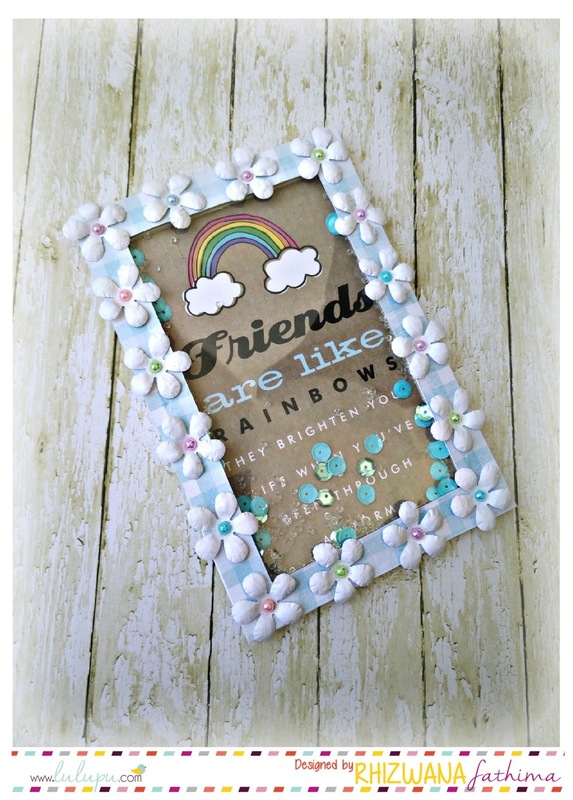 I added wink of stella clear glitter over the rainbow & "friends".. 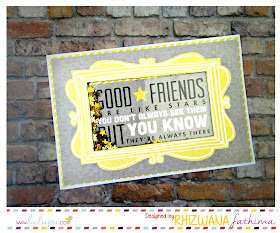 It gives that little pop for the already awesome PP design..
For the frame I used PP from Papericious "It's a boy" collection.. I also added some white blooms made with the Ek tools retro flower punch.! 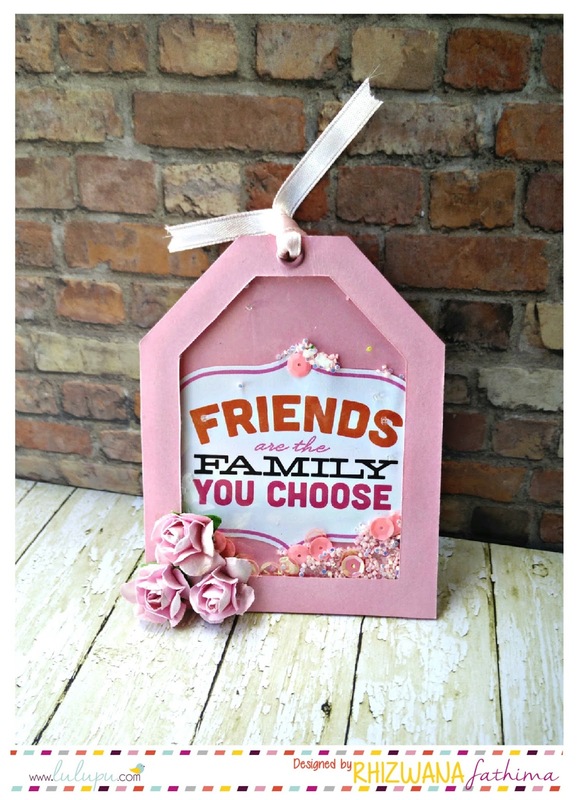 For this card I used the same paper for both the frame & the base.. 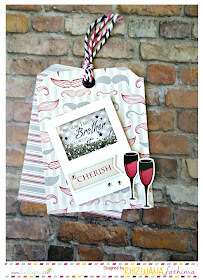 I made use of the framed design for my Shaker element.. Also added the striped yellow PP from Papericious Pretty Basics.. The star sequins are a RAK from Sathya.! I love them.. I added some Wink Of Stella clear glitter & crackle accents on the big yellow star for some added detail.. 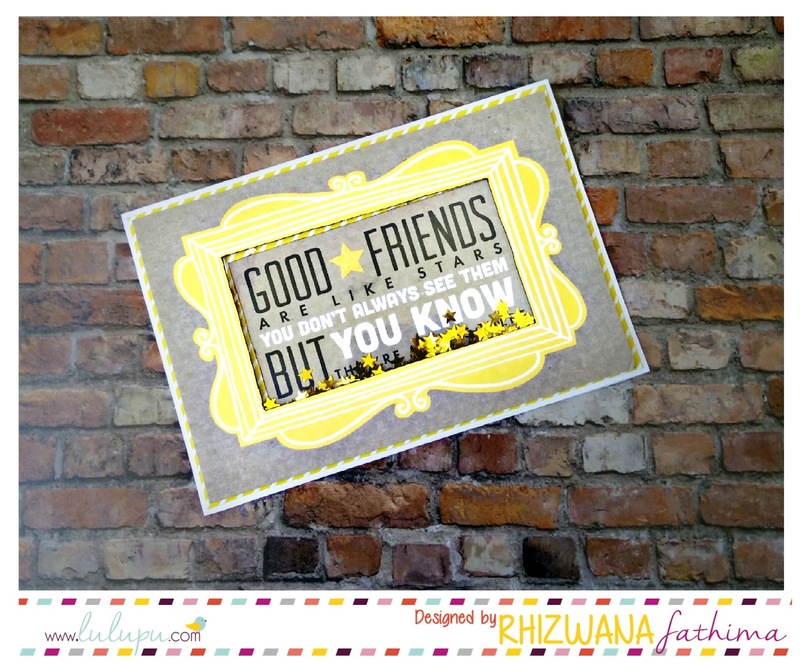 I used the fussy cut label from one of the themed cards form the pack as the focal point..
Added some blooms to give the completed look..
Did you check out the latest release from Papericious?? 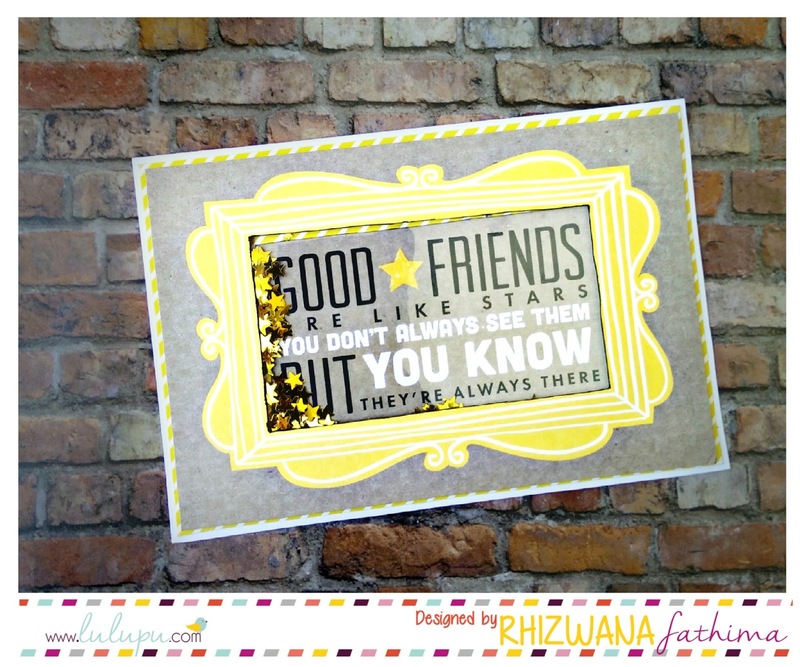 They are so awesome with co-ordinating PPs & also two fussy cut sheets with beautiful elements.. 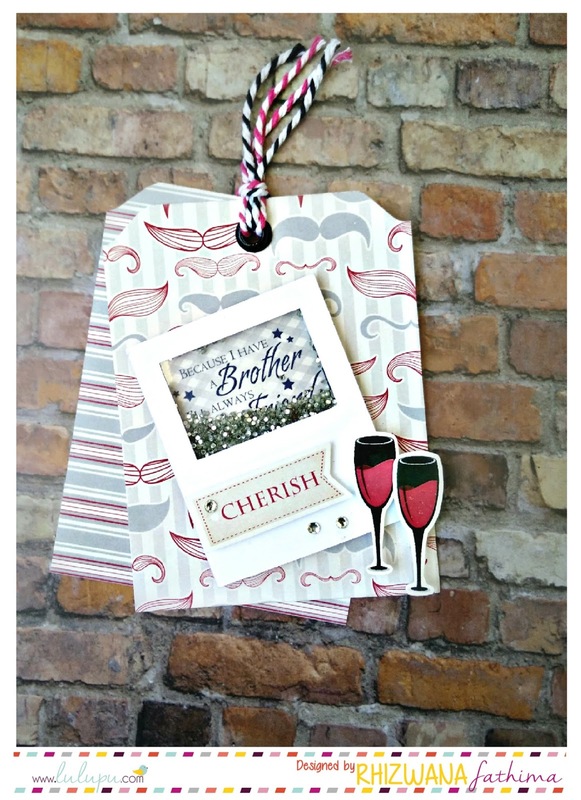 I used the label with this beautiful saying "Because i have a brother, i always have a friend" to make my shaker window base & embellished with the fussy cut elements..
With Rakshabandan close by, this is so perfect for the occasion, combining brotherhood & friendship..! Don't forget to link your projects in the Inlinkz below.! C ya all very soon.! 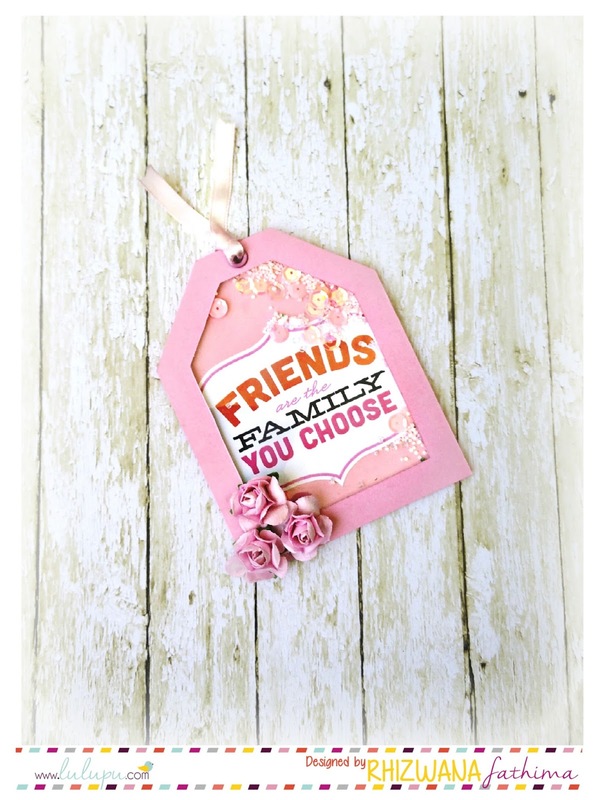 What pretty shaker tags and gr8 use of pocket letters, so perfect! 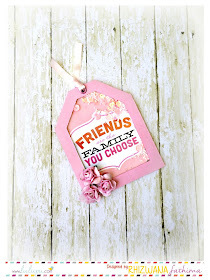 Lovely shaker cards n tag ! Lovely challenge and inspirations :)! 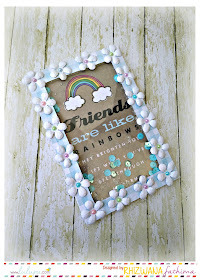 Beautiful projects Riswana! They're all so elegant! Thanks for sharing them! 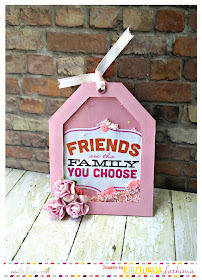 I loved the shaker element so much that i made another project..Please do check it out.